Employee evaluation is the process of evaluating employees as per their performance in the office. Every year all the staff of the office is evaluated for the sake of providing a performance reward. It is necessary to conduct some kind of performance evaluation for the employees to measure the credibility of the work. Most of the time it is possible only certain employees working in the office expects their performance evaluation to receive the reward for their dedicated work. While evaluating employees work performance, it is necessary to verify all his/her activity in the office so that the decisions taken would be fair for him/her and also to the rest of the employees. Sometimes it’s possible that most of the employees expect any kind of evaluation of their work so that the evaluation results in promotions or anything. Therefore, to take that decision, it would be easier if the employer checks the attendance sheet of that employee. To evaluate employees performance in the office and reward him/her with promotion, it is necessary to understand all the factors of that employee’s working environment and attitude towards his / her work. These factors of employee’s working behaviour and environment helps an employer conduct employee evaluation for the sake of performance appraisal. Therefore, being punctual for wok can be considered as an element in the evaluation of a working nature of all the employees. An employer can only trust his / her employee if he/she is worthy of his / her trust. Trust in an office can be built with dependability. This dependence over an employee can make an employer free his / her responsibility of work. An employee who has gained the dependence of an employer can receive a positive review for his / her nature of working. While measuring the performance of the employee, an employer needs to check all his/her approach towards work provided to him/her. If an employee takes every single work with a mindset of 100% dedication then it is possible that an employee has earned his / her reward for the work they provided him/her. Therefore, appearance mainly consists of an employee approach towards his/her and also the result of his/her work submitted to evaluate his/her position in the office. 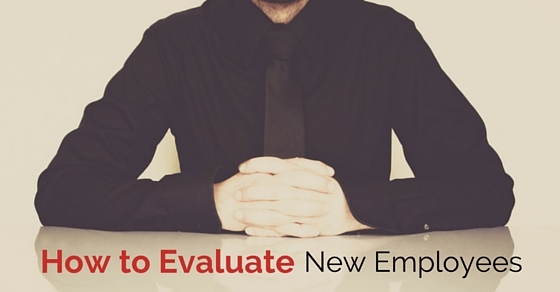 As mentioned earlier, an employer need to understand all the factors of evaluation before evaluating an employee. This performance appraisal of an employee takes place if an employer decides to evaluate the productivity of the company or business at the end of every business year. The productivity of the business or profit making will be considered while evaluating the employee nature of work, to provide a fair appreciation for each and every single employee’s delivered work. To conduct an employee performance review, it is necessary to understand his/her work quality to deliver the final statement. The quality of work of an employee is considered for the sake of evaluation of their employee’s nature of work. If an employee is delivering very poor quality of work, then it would be easier for the employer to take proper decision. Sometimes it can be delivered through the demotion of that particular employee from the office. Employee evaluation is a process of evaluating the working nature of an employee through some of the elements. These elements of evaluation provide results of employee work. While evaluating an employee, the main factor which is considered will be his / her work stability. Work stability is an element of an employee which provides his / her work quality and quantity. Employee’s work stability helps an employer to deliver actual results of the evaluation. Every newly hired employee will be explained in the provided job description. These job descriptions help an employee to understand his / her duties for the position that has been assigned to him/her. Ultimately, knowledge about his / her work will be considered as a plus point for an employee. Therefore, knowledge about job helps an employee work in a better manner. Therefore, eventually his / her knowledge will pay him / her off with employee evaluation results. An employee should be well versed with his / her working skills. These skills help him/her to be better positioned on his / her office. While recruitment of an employee to a certain job, an employer searches for one particular skill which can benefit him/her with their business deals. These skills also help an employer to deliver employee evaluation without any unfair act. Therefore, it is necessary to understand employee skill which should be benefiting from the overall development of the company, or else employee evaluation results in a negative statement. Managerial ability will be considered while evaluating an employee nature of work so that the evaluation of employees can be delivered easily. If an employee meets all the criteria of the managerial ability of that company after working from so long time, then the management will decide to take some action over his / her performance which resulted in the overall development of the company. Therefore, at the end, a particular employee will be rewarded with managerial rights with a change of his / her position in the office. Employee evaluation does not mean evaluating an employee’s professional quality, but it also means that the higher authorities will deliver their decision according to his / her professional and personal attitude towards other employees or the work of the company. Therefore, if an employee’s behaviour in the office is intolerable, then it can be added as a flaw of that particular employee which results in the firing of that particular employee from his / her assigned position. An employer should treat his / her employee equally and there shouldn’t be any kind of favouritism among the employees of the company. Not just an employer, an employee also need to cooperate with his / her fellow workmates. Sometimes it is even considered that an employee has been fired from his / her job just because of non-cooperation towards work or his / her co-workers. Therefore, cooperation among work with other workers can be considered as one of the factors of employee evaluation. Every employee should work in an office with a certain amount of energy and positivity in the office. These kinds of positive energy brings some positive environment in the office. And ultimately this positive energy results in the positive working of an employee. Being excited about his / her job creates inner boost of energy regarding his / her work. This kind of boosting energy helps an employee to be different from the rest of the employees. Therefore, even energy can also be considered for the employee evaluation report. A positive approach or positive initiation for some official decisions will be added to the development of the business. Every employee who expects a return from his / her delivered work in that particular office from so long time, might have initiated some of the important decisions of the business. This initiative will help a company to remain fixed in the business market. Initiating ideas for the development of the company will be reported in that employee evaluation report, which involves his / her dedication towards his / her company. Measuring employee performance takes place when the company decides to reward their employees for the work they deliver to this business in the form of extra pay or promotions. This kind of judgement takes a process of all the above-mentioned factors which contribute to an employee working nature. Therefore, an employee needs to work effectively and efficiently in the office, so that he/she can render good work quality and receive a positive result from the management of the company. The following mentioned are few other ways of performance appraisal methods. An employer evaluates the performance of an employee every quarter year. These quarter year an employer is supposed to involve his / her employee with all the activities of the company so that there will be a positive result from their participation. In another way these kinds of employee participation helps them to understand their position in the office. An employer treats his / her employees equally and to preach his / her words, it is necessary for him/her to get all of his / her employees to participate in the company’s overall development. As the statement means, it is not a negative approach. Two faced approaches considered as an approach were in which both the sides of the work will be measured. For example, when an evaluation of an employee takes place of a marketing department, the employer need to consider his / her target reach and profit margin to consider his / her performance in the evaluation. And at the end, the result would be in favour of that particular employee who has performed brilliantly with his / her assigned targets and marginal profit of the company. These core values are nothing but evaluating all the employees of the company on a monthly basis. It is a recent development in industrial working where an employee will be assigned some duties for the month and if he/she fails to accomplish such duties then there is a possibility of termination of the job. These monthly evaluations help a company to sustain those employee’s who can be considered as a profitable decision for the sake of the development of the company. To evaluate an employee very intently, an employer needs to build a professional relationship with his / her employees so that he/ she can understand their state of mind and their opinions about the activities of the company. An employee will prefer an employer who will be approachable. There won’t be any kind of a communication difference between expressing opinions within the company. These all factors helps in maintaining employee evaluation in a different manner, but still a very effective approach. The consistency of an employee will be contributed in the development of the company. And consistency in their work makes them understand the actual efforts to be used for those activities which is called as work experience. Experience can also be one of the main elements of employee evaluation. For example, an employee who has worked for the company several years and yet delivered his / her duties perfectly, then that employee will be considered to receive performance reward for the work he/she delivered in the name of employee evaluation. After all above-mentioned statements and discussions, we would suggest that employee evaluation is a process of upgrading an employee for the hard work and dedication he/she delivered to that company. These evaluation measurements consist of a certain kind of methods to follow. It is possible to understand the company profile and their working nature, but it is tough to understand the main support behind their success. The main factor which makes a company successful in their ventures would solely be their employees. These employees provide their heart and soul for the overall development of t company. Therefore, to evaluate such employees there are certain factors to be considered to deliver the honest result and they are mentioned above.